SKU: M2017-17. Categories: CD, Highlights. Tags: Doom Metal, Psychedelic Rock, Sludge Metal. 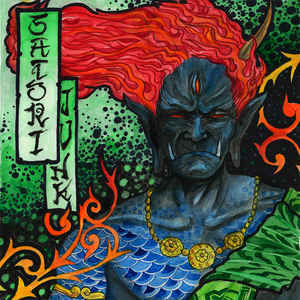 Satori Junk was born in Milan (Italy) among the dense fog and the smoke of the urban waste landfills. Four members: guitar, bass, drums, vocals & synth. An acid cocktail full of fuzz and electronics. The music is inspired by the typical sonorities of cult bands as Black Sabbath and Electric Wizard. Rough sounds, repetitive and loud overwhelming riffs and lyrics coming from dreams, hangover nightmares and horror movie atmospheres. There is no claim to create something innovative. The band’s main idea is to trap the listener in their rabid and uncomfortable distorted world.